Yes. We have two fenced pet exercise areas. We require that pets remain tethered or on a leash at all times and that you pick up after your pet. We are sorry, but pets are not allowed in rental Park Model units. Is your Resort 55+ only? No. 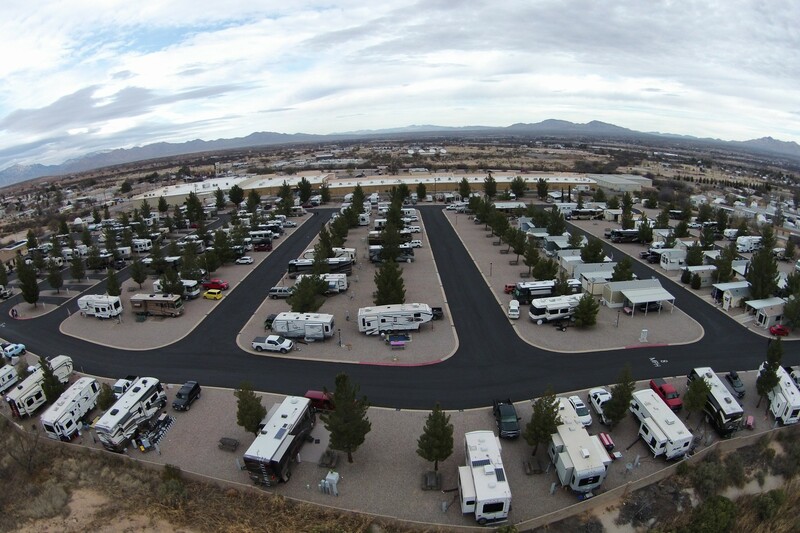 In the summer season our Resort is the perfect “Base Camp” for family vacationers to enjoy the many wonderful attractions Southwest Arizona has to offer. In the winter season our guests are predominantly Snowbirds that come to our Resort to escape the colder northern climate. Do you have park models available for rent or for sale? Yes. 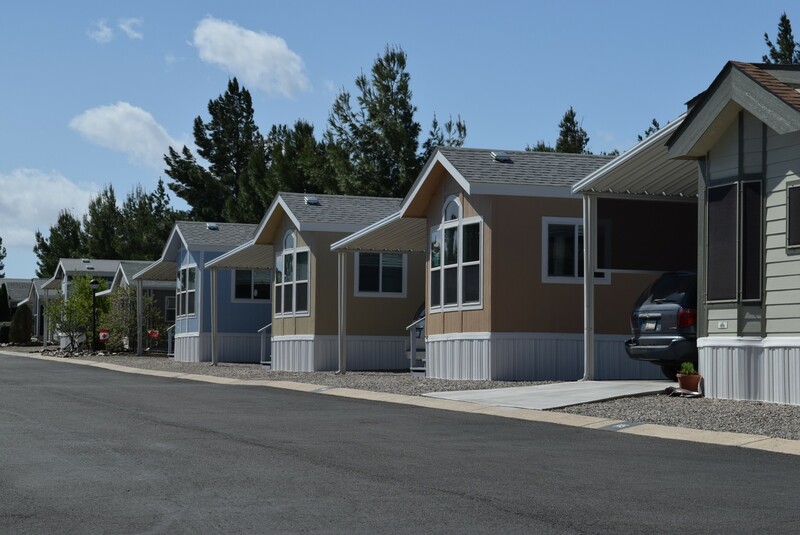 Please visit our Park Model Page or call for more information. Do you charge for the Astronomy Lectures or Telescope Viewing? No. 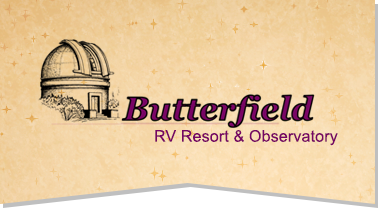 We offer Telescope Viewing nightly (weather permiting) and there is no charge for our registered guests. Do you have accommodations for rallies? Yes. Our sites are large enough for big rigs. Our new Banquet Hall will accommodate 129 guests for meetings as well as for dinner. Do you have any golf courses nearby? Yes. San Pedro Golf Course is within one mile from our Resort. It is a par 72 championship course. Is there an RV repair nearby? Yes. 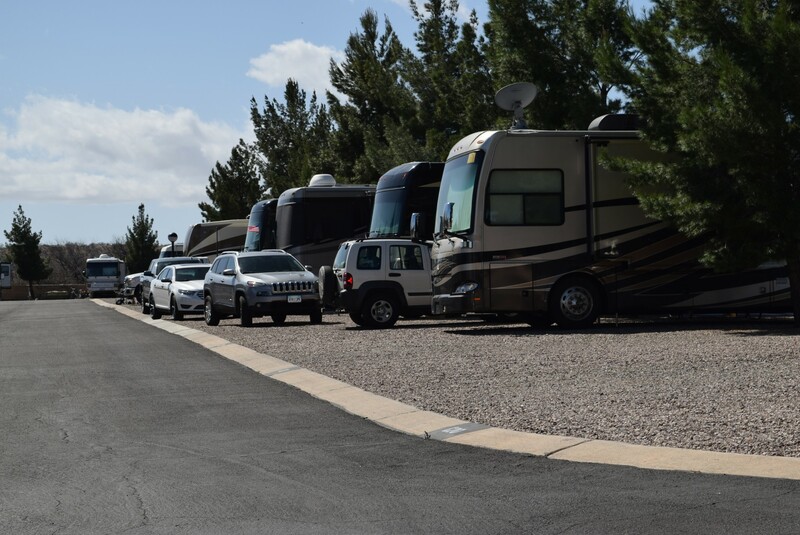 There are several garages within a few blocks of our Resort equipped to take care of your RV repairs. There are also local mobile repair services available for minor repairs. Do you have paved streets? Yes. Our streets are 28 feet wide. How big are your sites? Our smallest sites are at least 50 ft. deep by 30 ft. wide. 50 of our sites are at least 40 ft. wide. Do you have telephone hook-ups? Yes. There are telephone lines available at every site for long term guests. Just contact Qwest upon arrival. Advise the office if you are planning to get a telephone connection as the service technician will need access to areas within the office. Do you have cable TV? Do you have 50 amp service? Yes. All sites have 20 amp, 30 amp and 50 amp service. Do you have shade trees? This Resort is in a desert setting. Each site has a pine tree. What is the length of the swimming pool? The pool is forty feet in length.